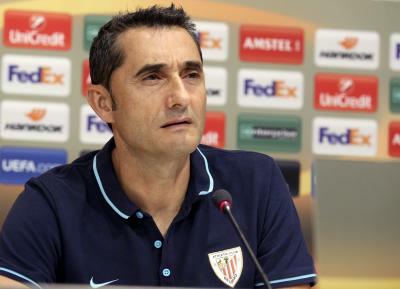 Sant Joan Despi (Spain) Sep 14 (IANS) Barcelona s head coach Ernesto Valverde could count on his full team with the exception of new signing Malcom on Friday for the final training session at the Sant Joan Despi ground ahead of the defending La Liga champion s away game against Real Sociedad. The Brazilian forward who joined Barcelona this year was still recovering from a sprained ankle reports Efe. This absence should not trouble Valverde too much before Saturday s match at the Anoeta Stadium in San Sebastian as Malcom s fellow countrymen Arthur Melo and Philippe Coutinho rejoined the squad for the training session. BarÃ§a was joint top of La Liga standings with Real Madrid three games into the new season.